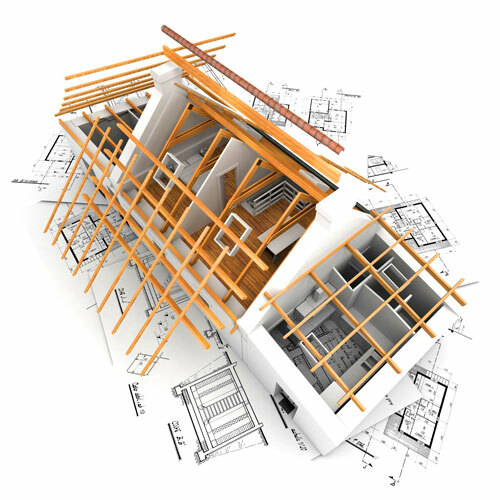 Our owner, John Squires, is a licensed General Contractor, Real Estate Agent and professional Home Inspector in the state of North Carolina. John was born and raised in Wilmington, NC, where his family has lived for generations. As a lifelong resident of North Carolina, John loves spending time outdoors in our beautiful state and you’ll often find him running and hiking throughout the area. After graduating from East Carolina University with a B.S. 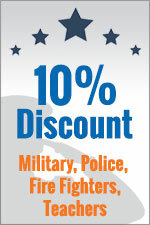 in Construction Management in 1997, John began his career in the home building industry. Since then, John’s worked as a General Contractor building homes in production and custom home industries. He’s built over 400 homes, from townhomes to large homes over 5000 square feet. In 2010, John became a member of the North Carolina Licensed Home Inspectors Association and opened Odum Squires to provide inspection services to his customers. As a builder, a realtor, and a professional home inspector, John offers a unique and valuable perspective to residential inspections. John’s hands-on experience has led him through all the steps of new construction, from start to finish. Remodeling and renovations have given him the opportunity to see the results of improper construction and why it’s so important to get things right. John continues to educate himself by taking classes in plumbing, heating and air conditioning, electrical, and structural systems so he can give his customers the highest level of service. Continuing education is an essential part of being a home inspector, and John is committed to being the best around. 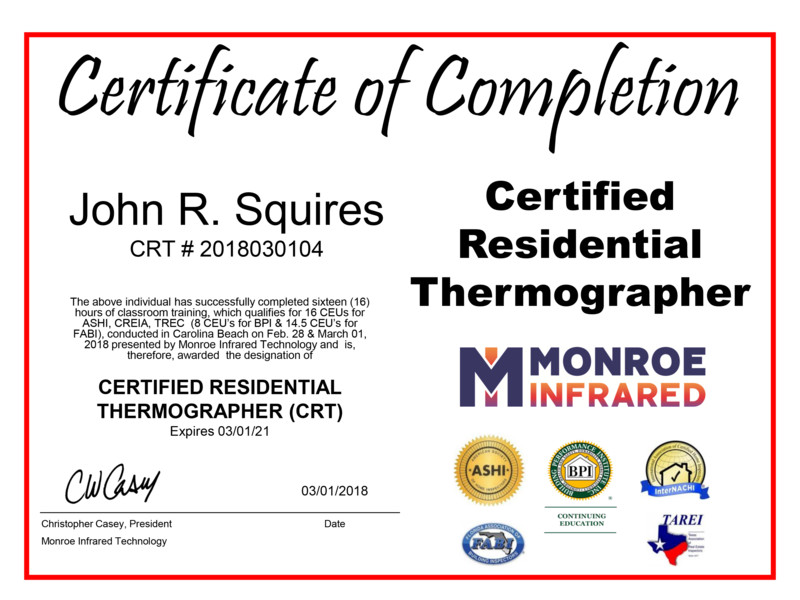 John Squires, from Odum Squires Inc., has become a Certified Residential Thermographer (CRT). 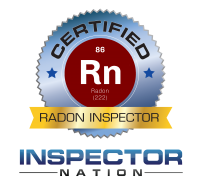 The CRT certification is nationally recognized by the American Society of Home Inspectors and the International Association of Certified Home Inspectors. Home inspectors successfully completing the CRT certification requirements learn about the science of thermal imaging, methods of heat transfer, and thermal capacities. They also learn about the limitations of thermal imaging and how to avoid false readings. By becoming a Certified Residential Thermographer, a home inspector can provide a more thorough home inspection by detecting electrical, moisture, energy issues, and even pests, such as termites and bees, which the naked eye can’t see. If you’re looking for a trustworthy, knowledgeable inspector who will help guide you through the homebuying process and beyond, please contact Odum Squires today and let’s work together on your next home inspection!